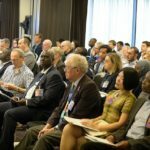 Celebrating its 40th anniversary in 2017, the ISBE conference has become one of the major events in the entrepreneurship calendar, bringing academia together with the worlds of policy and practice to inform the debate about small business. 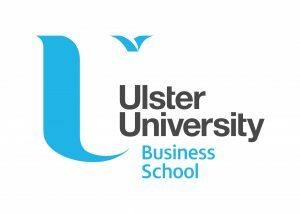 Join us in Belfast this November to mark our 40th conference at what promises to be an exciting and stimulating event. In addition to the latest cutting-edge research in small business and entrepreneurship from the UK and internationally across 16 conference tracks catering to a wide range of disciplines, the conference offers a range of workshops and development sessions where delegates can meet and talk with some of the most prominent names in the field. With our Gala Dinner and annual ISBE Awards taking place at the historic Titanic Belfast, ISBE 2017 promises to be one of our best conferences yet! Register now to secure your place. 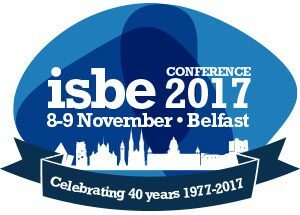 The abstract submission window for ISBE 2017 has now closed. Thank you to all who submitted abstracts. Since 1977, the year ISBE was launched, there have been numerous changes in the world, with borders, physical and intangible, easing and even falling completely. Some recent developments however, for example the United Kingdom’s vote to leave the European Union, suggest that not everyone is at ease with a borderless society or economy. ‘Borders’ still remain in people’s minds, for minority groups, for women and for those from poorer backgrounds, to mention a few. 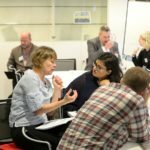 How might small- to medium-sized businesses continue to thrive if access to opportunities is being continually constrained because of ‘bordered’ thinking? Change in response to such thinking requires a strong entrepreneurial response in how we do business, now and in the future. View the 2017 conference tracks here.